The DC area’s most expensive condo ever is on the market, asking $10.5 million. The price tag at The Lauren’s Residence 703 thoroughly bests the previous record of $6.795 million, according to the Washington Post. The 7,300-square-foot home — which we profiled last month — is perched on the top floor of the 40-unit building at 4934 Hampden Lane. 1788 Holdings and Persimmon Capital Partners are developing the project, while Miami architect Robert Swedroe helmed the design and Akseizer Design Group crafted the interiors. The building has 29 “estate-quality” residences, five for-sale guest/amenity suites and six moderately priced units. All of the 29 top-shelf units will have nine- and ten-foot ceilings, custom cabinetry, gas appliances and vented fireplaces. 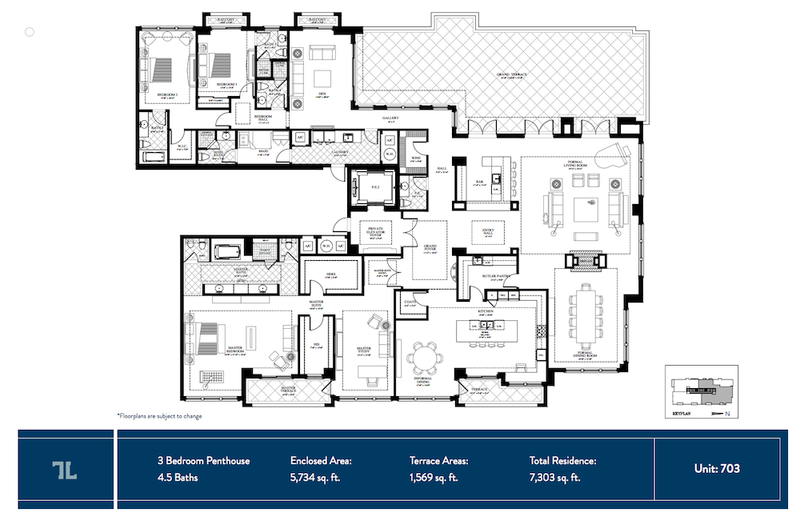 Condos at The Lauren are priced from $1.5 million and range from 1,444 square feet to more than 6,000 square feet. 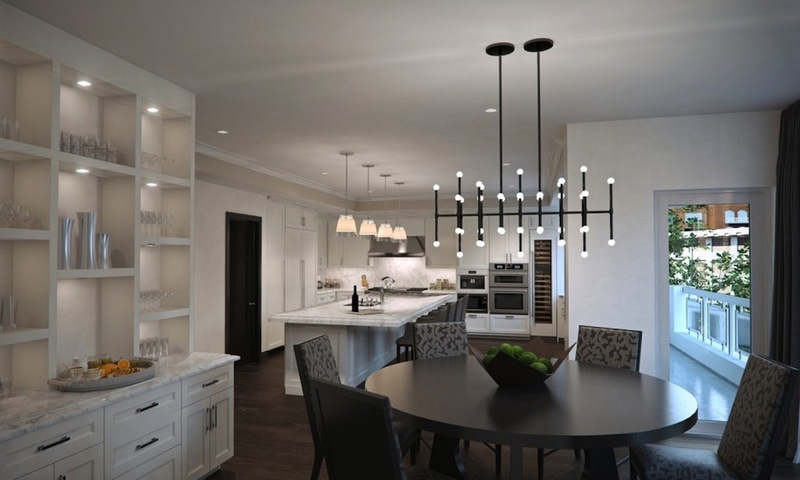 With three bedrooms and 4.5 bathrooms, Residence 703 boasts a direct-entry elevator, hardwood and natural stone flooring, a 600-foot grand salon, formal dining room, home automation system and a 1,500-square-foot private terrace. Buyers will be able to work with the architect and interior designer to customize the space. 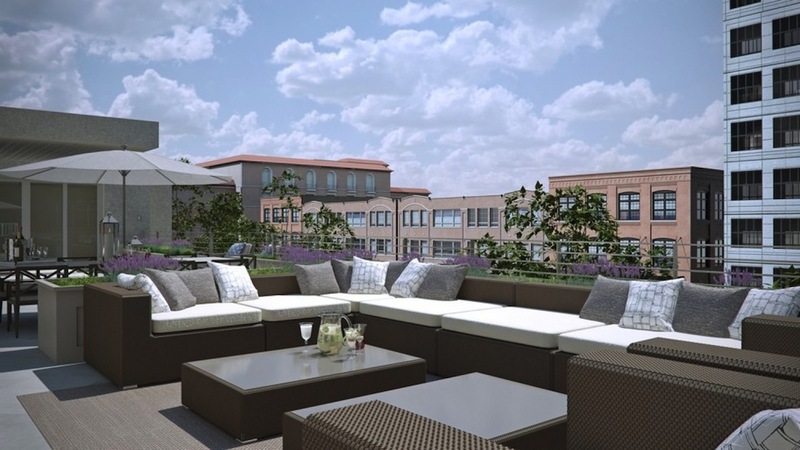 Amenities include a two-story lobby, concierge, gym, rooftop terrace, wine lounge with private wine storage, screening room, private underground parking and valet parking. TTR Sotheby’s International Realty is handling marketing and sales. Completion is anticipated for Spring 2016.